Leteasha-May, pictured above, nearly lost her life to diabetes. 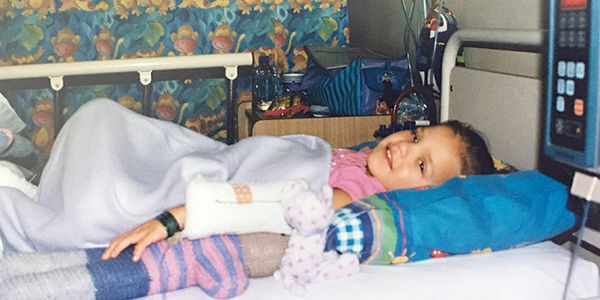 According to Jannine, Leteasha-May's mum, "they told us in hospital that if she hadn't been diagnosed right then, she only had six more weeks to live." Luckily, she is a survivor. Diabetes is the leading global threat to our health. Nearly 1.3 million Australians are currently living with diabetes — and another 500,000 people are undiagnosed. Diabetes is a nearly invisible threat — people can live with type 2 diabetes for up to 7 years without realising. It can lead to severe complications, such as heart problems, blindness and amputations. Diabetes NSW & ACT is Australia's oldest and largest charity helping people living with diabetes. We reach out to Australians with media campaigns and our expert staff deliver one-on-one services to children and adults. Sign the pledge to support people living with diabetes. Together, we can make diabetes visible and understood! We will send you a tool to assess your own risk.